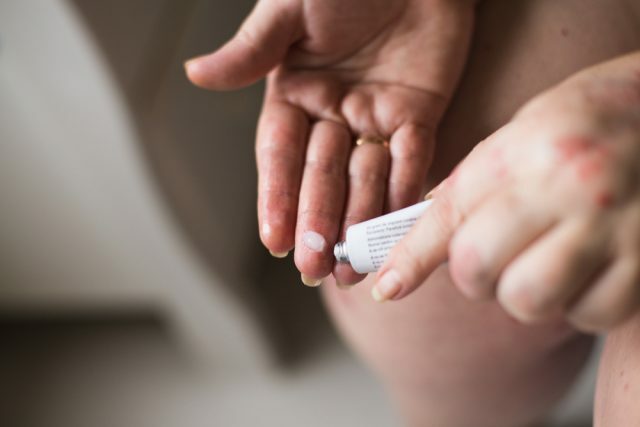 Does eczema spread and what are its causes? Eczema is experienced by around 30 million Americans. Eczema is a type of conditions where the skin becomes red, results in itching, inflammation and forms patches which appear over the inner elbows, neck or knees. Learning about the triggering factors of eczema is essential to get rid of the disease. Living your life with eczema is definitely a challenge which you need to overcome. However, eczema is more common in children but it can also occur in adults even if you did not suffer from eczema during your childhood. Eczema ranges from mild to severe symptoms depending on the flare-ups. 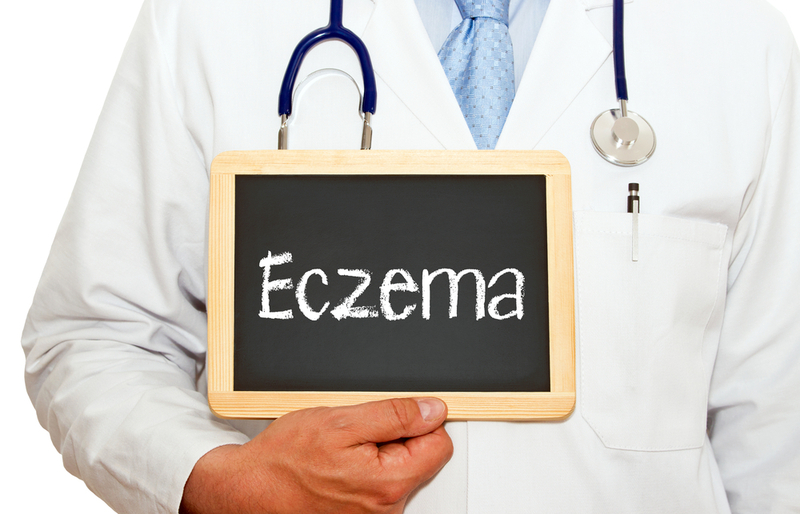 The symptoms linked with eczema are different for all individuals. These symptoms usually vary from one person to another. The affected site with eczema also differs from one adult to another. Eczema is usually itchy, however, the itchiness varies between mild, moderate or severe. In severe eczema, people scratch a lot making eczema worse that continuous bleeding. This is known as the itch-scratch cycle. You must be wondering about which symptoms are mainly involved in diagnosing eczema. 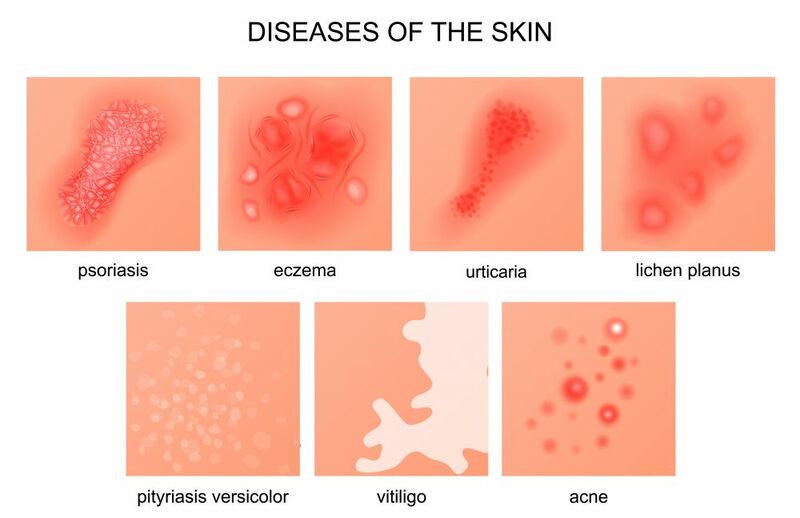 You need to look for red or inflamed skin, sensitive and dry skin, extreme itching, patches over the skin which are dark colored, scaly, leathery or rough skin patches, crusting or oozing of the skin and different areas of swelling. Some people suffer from all symptoms while others experience a few of them. Neurodermatitis- it results in scaly skin patches over forearms, head, lower legs, and wrists. It causes localized itching. 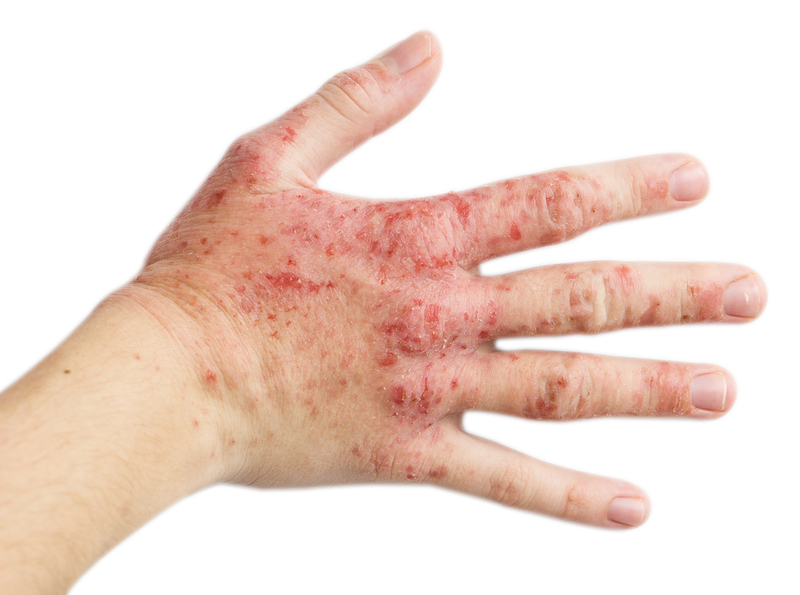 Dyshidrotic eczema- it results in skin irritation over the palms of hands and over the soles. It results in the formation of blisters. Contact dermatitis- it is a type of skin irritation due to the allergen or contact with the substance that is recognized as foreign material. Seborrheic dermatitis- it results in the formation of yellowish skin patches, scaly and oily surface over the face and scalp. 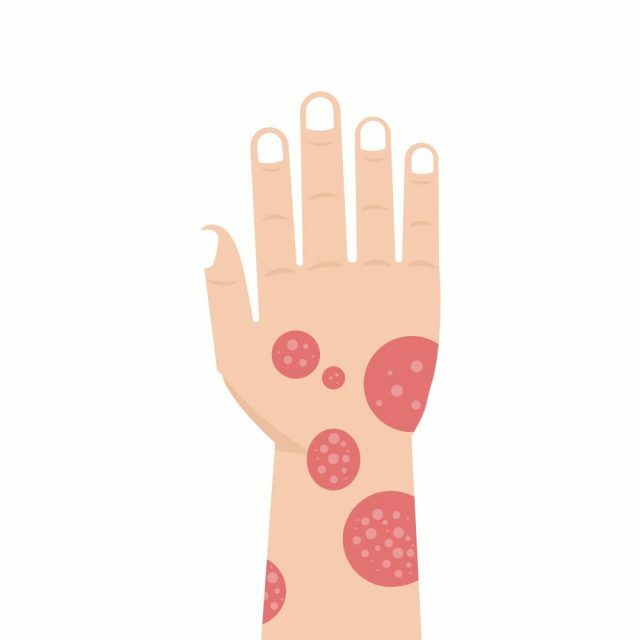 Nummular eczema- it results in the formation of circular patches over the irritated skin that results incrusting, itchiness or scaly surface. Stasis dermatitis- in this condition skin irritation occurs within the lower leg which usually occurs due to circulatory issues. Eczema is not known for being contagious although there is no definite cause leading to this disease. Researchers conclude that eczema commonly occurs due to environmental factors such as smoke or pollens and genetic involvement. When there is an allergen or irritant such as certain foods like dairy products and nuts can trigger the immune system resulting in flare-ups where skin reacts in an altered way. Variations between cold and hot temperatures can also result in eczema due to increased or decreased humidity. Stress is also an indirect factor leading to eczema. Hormonal fluctuation can also result in eczema. Some microbes can also result in the initiation of eczema like Staph aureus, fungi or viruses. There are many natural substances which are highly effective when compared to pharmaceutical drugs that have severe adverse effects. Natural substances moisturize the broken skin and fight against inflammation. They are also effective in reducing the inflammation and swelling of the skin. However, they do not cure eczema, these natural remedies are effective in managing these symptoms and preventing the flare-ups. It is extracted from the Aloe Vera plant. This gel has been in use for alleviating the symptoms of different diseases. 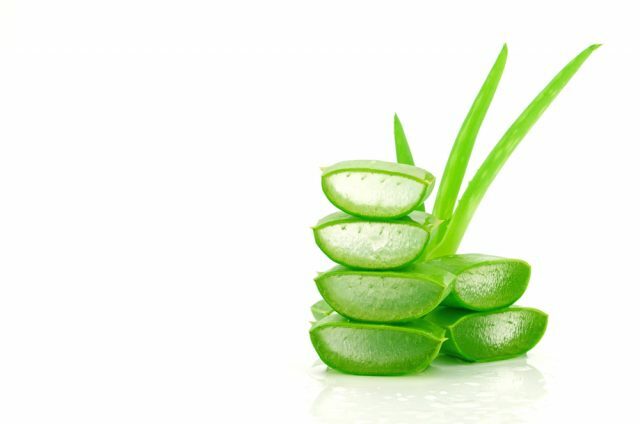 The most common use of Aloe Vera gel is to soothe the symptoms linked with eczema. The Aloe Vera gel has several beneficial properties like antimicrobial, antibacterial, wound healing and immune system boosting effects. These effects prevent the skin from further skin infections and moisturize the cracked and dry skin. According to the National eczema association research, apple cider vinegar is effective in soothing eczema. However, it is suggested to use it with caution as the acidic part might damage the tissues. It helps in balancing the ph. of the skin because during eczema there is an imbalance of the skin ph. Bear in mind to use the apple cider vinegar in diluted form to avoid burn up of the skin. Apple cider vinegar offers antibacterial effects against E Colli and Staphylococcus aureus. Bleach within the bath can help in improving the symptoms of eczema. It offers anti-inflammatory and anti-bacterial effects, especially against Staphylococcus aureus. It also helps in restoring the microbes present over the skin surface. Avena sativa or colloidal oatmeal is prepared from oats which are boiled and grounded to derive the skin-healing properties. A study conducted in 2015 showed that colloidal oatmeal lotions offer anti-inflammatory and antioxidant properties which help in reducing the symptoms of scaling, skin dryness, itchiness, and roughness with eczema. It comprises of healthy fatty acids which offer complete moisturizing effect to the skin. It helps in treating the dry skin which occurs due to eczema. 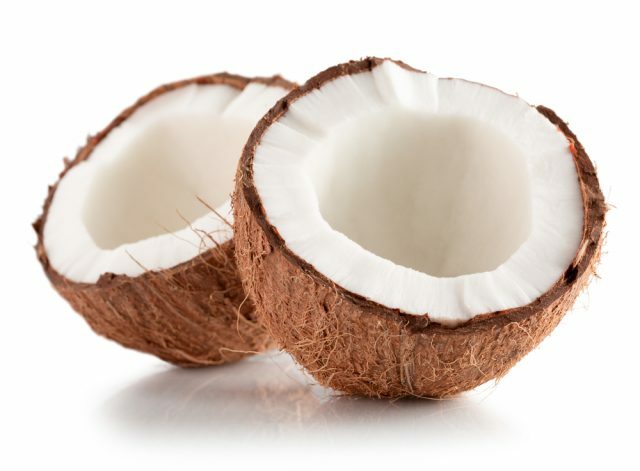 The coconut oil offers anti-inflammatory effects to the skin and improves the skin barrier. Different studies conclude that virgin coconut oil helps in improving the symptoms linked with eczema. This natural ingredient is highly effective as an anti-inflammatory and anti-bacterial agent which heals wounds. It has been in use since centuries as a highly effective ingredient. It boosts up the immune system and helps in healing wounds. It fights off the infections within the body. Honey has antibacterial effects which help in treating different skin diseases. It promotes speedy healing and moisturizes the dry skin linked with eczema. Tea tree oil is extracted from Melaleuca alternifolia trees. This oil helps in reducing the symptoms linked with skin disorders especially eczema. It has wound-healing, anti-inflammatory, and anti-bacterial properties. It prevents the skin against infections, relieves the skin dryness and prevents the itching. Fermented cod liver oil is rich in healthy fats. These supplements help in reducing inflammation within the body and promotes the regeneration of healthy cells within the body. They are the perfect source of fat-soluble vitamins i.e. A, D, K, E.
This remedy might work for some while for others it might result in worse symptoms. Magnesium baths are for those who can tolerate it, it helps in healing the skin. These baths are very relaxing and detoxify the skin. The homemade therapeutic slave is highly effective for healing the blisters and scars which occur due to eczema. It helps in reversing the scars and prevents the skin from further irritations. It is extracted from the evening primrose plant. This oil is applied topically which helps in soothing the irritated skin during eczema. You can also consume this oil orally which helps in treating the systemic signs and symptoms linked with this condition. Evening primrose oil comprises of omega-6 fatty acids along with gamma-linoleic acids which have beneficial anti-inflammatory effects. It is derived from the seeds of the sunflower plant. It helps in healing the outermost layer of the skin which moisturizes the skin and prevents the invasion of bacteria within the skin. It keeps the skin hydrated and relieves any inflammation or itching. This astringent is derived from the leaves and barks of the witch hazel shrub. It is applied topically to relieve skin inflammation. It calms down the skin flare-ups linked with eczema. It helps in soothing the irritated skin and relieves the itching of the skin. If you don’t find effective results with topical corticosteroids, you can make use of systemic corticosteroids which you can either take orally or in injection form. These anti-inflammatory medicated creams help in relieving the symptoms linked with eczema such as itching and skin inflammation. You can apply this cream directly over the skin surface and have effective results. These antibiotics help in treating bacterial infections. These medicines help in treating the viral as well as fungal infections which result in eczema. It helps in reducing the scratching especially at the night time and you might feel drowsy. 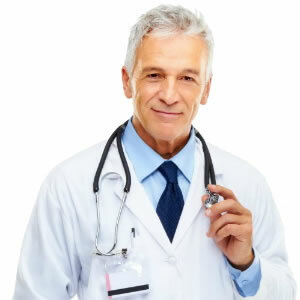 It is a type of drug that suppresses all the activities performed by the immune system. It helps in preventing the flare-ups and reduces the inflammation. Moisturizers available at the drugstores are effective in promoting skin moisture especially in people suffering from eczema who have dry skin. 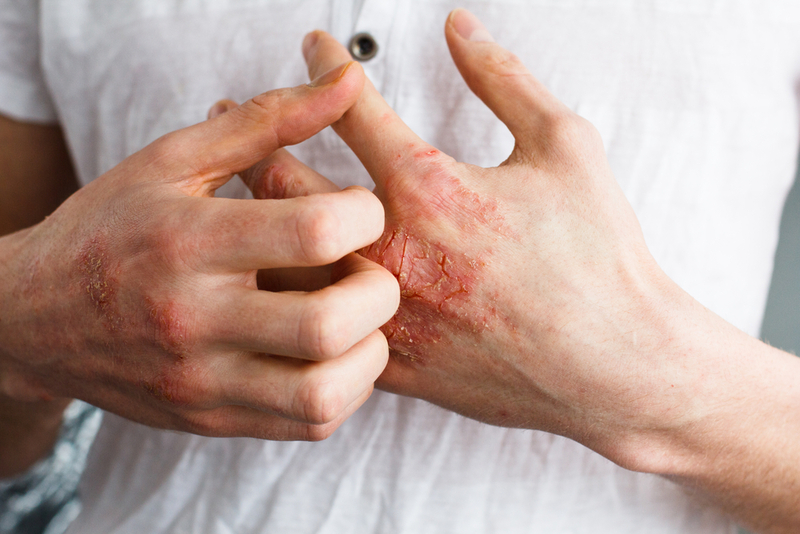 You cannot find a proper cure for eczema, but there are several ways to alleviate the symptoms linked with eczema such as herbal remedies, home care, and pharmaceutical medications. If your eczema is very severe and does not get better with these treatment modalities, it’s better to consult your healthcare physician.